Taking inspiration from our ground-breaking exhibition by contemporary painter, George Shaw, this workshop will encourage students to challenge conventional ideas of beauty in art. Shaw’s paintings of realist landscapes and the Midlands housing estate where he grew up, suggest alternative approaches – seeing beauty in the everyday and what surrounds us. During a fully tutored workshop students will create small-scale paintings on metal, based on images from their own localities. This workshop can be adapted to suit different year groups (including A level). Extend their observational drawing skills through a fully tutored life drawing session. Standard 2 hour Life Drawing workshops can be booked at any time (subject to availability). Our stunning collection is a great way to expose students to a broad range of media: paintings, portrait miniatures, sculpture, ceramics, silver and textiles. 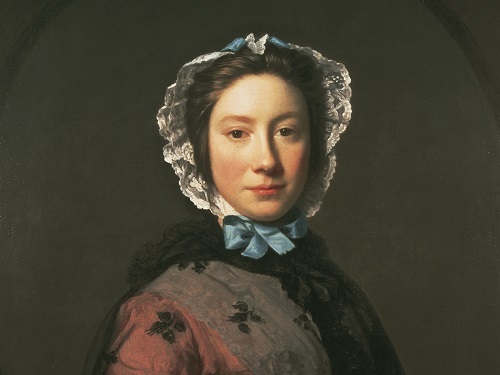 We’re renowned for our eighteenth century paintings by such famous artists as Gainsborough, Ramsay, Stubbs, Raeburn and Zoffany. Students can broaden their knowledge and find endless inspiration for their own portfolios. We also have a programme of high profile temporary exhibitions, often drawing on national and international collections, plus interventions by contemporary artists and can offer workshops linked to these. Please call to discuss how we might tailor a workshop to meet your requirements. We can also arrange life drawing sessions at the Museum for your students, please see above for details..
Our workshops can also be adapted for small groups of pupils with special educational needs, giving added emphasis to sensory experience. Self-led visits are also available: pupils and teachers have free entry but booking is still essential. Please call 01225 388568 to book. Please see Visit Guidelines for further information to help plan your visit.